It’s the first Thursday, which means I’m back again at MFT with another coloring video…and below I’ve put some info about my palette, since questions come up about that pretty often. A while back, Daniel Smith asked if I had 18 favorite colors – they like to put together dot cards for artists they work with. I was so honored! So here’s a little video created for how I set up my palette. 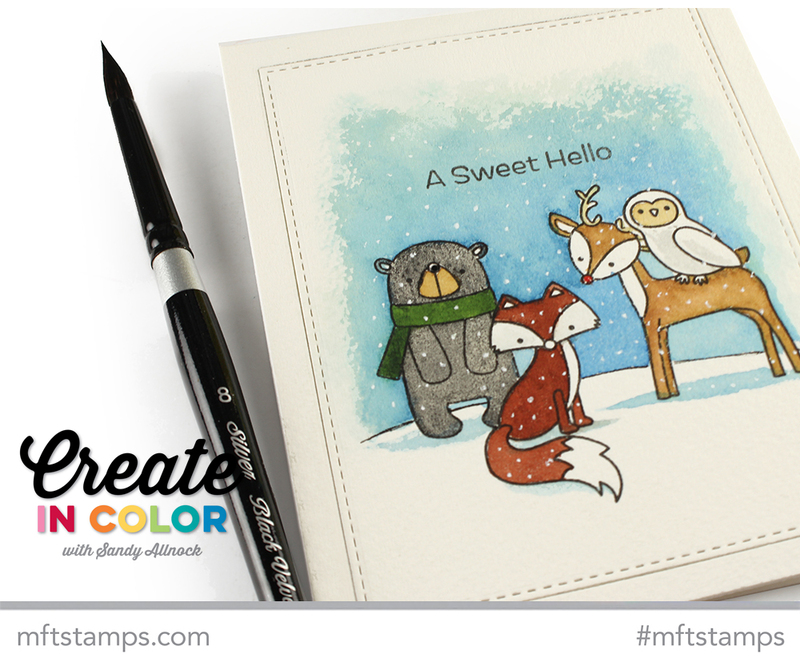 Download the template HERE….my dot card can be purchased HERE if you’d like to sample my colors before making a big purchase. Full list of colors is below, as well as palette info. The warercolor video is great. I’ve been wondering why they sell empty palates! Then you go online to buy watercolor & it says half full palate. Now I understand. Thank you Sandy! Super outstanding and very creative! Hi Sandy, I saw this card over on their blog last night, it is adorable. I am always a fan of your coloring. I think I have gotten a little better watching your videos and I really thank you for that and appreciate it. Love this card! I have learned so much about watercolor from you. Thank you so much! !